The Ramada Limited Jacksonville is located minutes from Downtown Jacksonville and Alltel Stadium. This hotel is centrally located around area attraction such as Prime Osborne Convention center, Jacksonville International Airport and the University of North Florida.The Ramada Limited Jacksonville is also home of the Jacksonville Jaguars and the Florida Gators football teams. 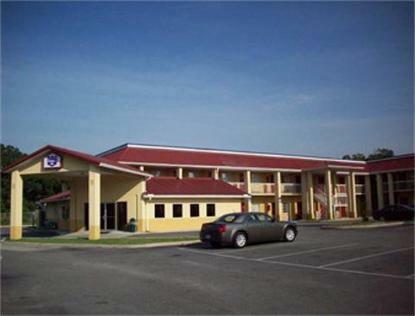 Other attractions near the Ramada Limited Jacksonville include: The Jacksonville Zoo, Naval Air Station, Cummer Gallery of Art and the Museum of Contemporary Art.This hotel also offers Deluxe Complimentary Continental Breakfast, Complimentary High Speed Internet and many other standard amenities. We also offer Complimentary RV, Semi, Bus and Trailer parking.